On Canada Day one family received a special gift handmade with love. 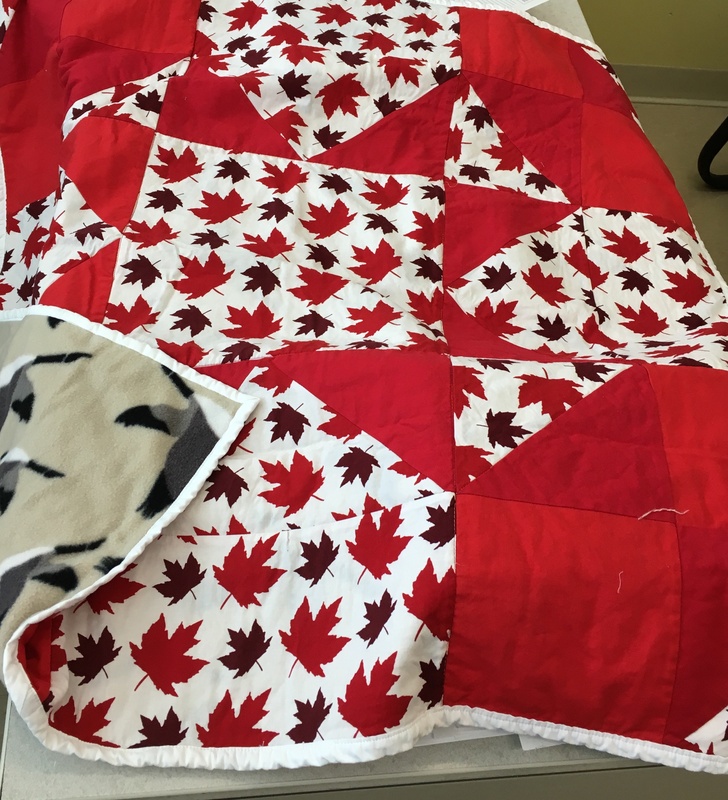 Marion, a Mount Sinai Hospital volunteer made a Canada-themed quilt to give to the first baby born in the hospital on Canada Day. Marion has been volunteering for years and has made more than 70 quilts to date. She made her first Canada Day-themed quilt last year for Canada’s 150th birthday and decided to continue the tradition this year. Made with a red and white maple leaf pattern on one side and Canada goose patterned fleece on the other, the quilt is a fitting gift for a baby who shares a birthday with Canada.